While at the store, Ruben picks up money that a lady has dropped. When he gets home, he discovers that it is much more than he thought. Ruben really wants a new bike, but he also wonders about the lady who dropped the money. This is a story that shows the power of doing the right thing. It would also be a great story for discussing empathy. This is a sweet story with a great lesson. Goldie builds things. Unfortunately, this sometimes causes problems such as when she blew the roof off her school. Goldie feels she doesn't fit in at her new school so she devises a plan to rebuild her old school. Goldie is a great character - sweet, funny, determined, creative. This is a short chapter book with great characters, but also an interesting story. I'll recommend this one to a few of my third graders. Ivy and her brother, Seb, find themselves in a magical world after their grandmother is rushed to the hospital. They become involved in a mystery to figure out the connection their grandmother has to this world and soon find themselves trying to save their parents. In this magical world, uncommon objects have unusual magical qualities. This book is quite fantastical, some parts a bit dark, but lots of adventure. Zack tries to go unnoticed at his school, where standing out often leads to trouble or being the target of bullying. When Zack speaks out on behalf of a classmate, he is put in charge of the sixth grade fundraiser. Zack's story is interesting and adventurous, but Zack is also funny and relatable. This book shows that being a kid isn't always easy, but it is possible to work through the problems that arise with classmates and school. I had not heard of The Uncommoner's. I think my own 12 year old would be interested in this, so we'll be checking it out. Thank you for the list. The Uncommoner's is the authors first novel, I believe. I had an ARC I received at a conference. It'll be out in January. Agreed that The Uncommoner sounds fascinating. 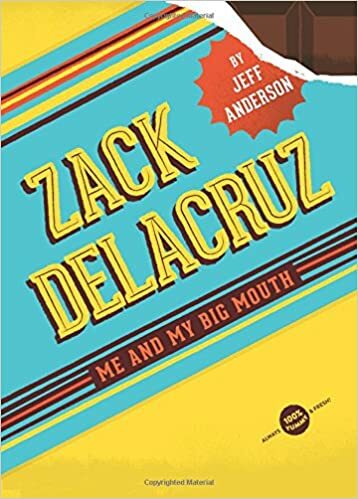 I heard Jeff Anderson read aloud some of Zack Delacruz last year and bought it for my classroom but haven't read it myself yet. It's on the list! I'm curious to know how the students like Zack Delacruz. I loaned it out to a fourth grader today so I'll see. I haven't seen the Goldie series. I'll be on the lookout! 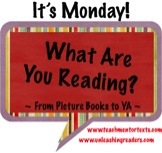 I always love finding series that fit the transitional readers! I'm always looking for new transitional readers, too. I read the second but not the first Zack title. So great! I need to get the first one to add to my classroom library! I need to get the second one! 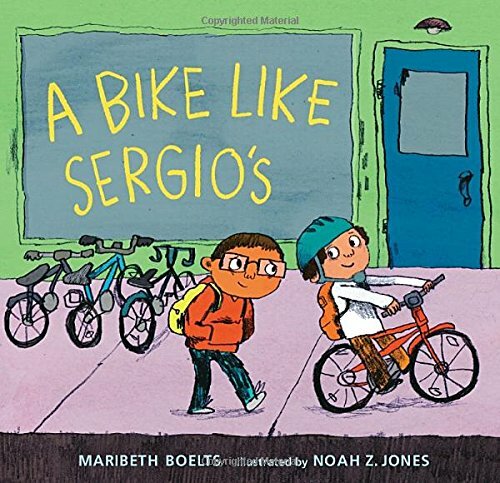 I loved A Bike Like Sergio's, too! Great to use when discussing theme. I still need to read the other titles on your list. Good thing Winter Break is almost here! Yes, I plan on doing a lot of reading over winter break! A Bike Like Sergio's has being added to my list. 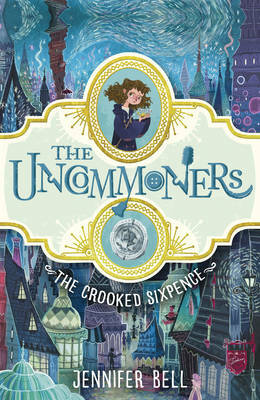 The Uncommoner's looks interesting. Thanks for the heads up. A Bike Like Sergio's looks interesting. Will be on the lookout for that.